A polished lump of amber can catch and disperse the rays of the sun like no other material. When you hold amber up against the sun and twist and turn it, you are already at one of Hvide Sande’s wide beaches on a hot summer’s day. Until the middle ages, amber was in very popular demand in most of the world and Danish traders offered some of the finest pieces that had been washed ashore at the North Sea. Amber was used for making beads and other elements for jewelry and it was also made into small chests, figurines, amulets, and idols. In particular, the Greeks believed that amber possessed supernatural qualities and called it ’the tears of the gods’; the Romans used amber in truth serums; and in Denmark amber was considered to have healing powers and used for various kinds of ailments. In reality, amber is fosilized tree resin from pine trees that grew 50 or even 100 million years ago; long before the first humans walked the earth. Where Can I Find Amber? Denmark is located in an area with quite a lot of high quality amber, but to find it you must know a bit about how to search for amber. First of all, the best time to search for amber is in the wake of powerful storms, just when the sea has calmed down again and preferably during autumn or winter. 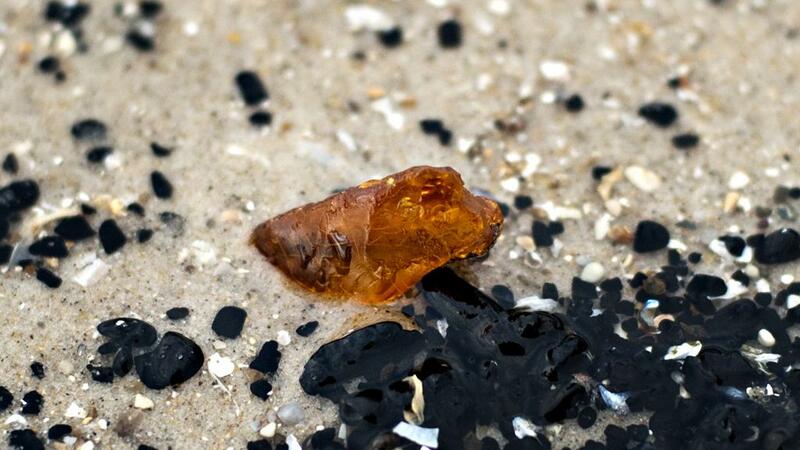 At those times, amber lies hidden in dark piles of seaweed, seasponges, and bits of tree that have been washed ashore; you won’t find amber among rocks!